Betting News > Boxing > Can Chisora become the first man to stop American Johnson? 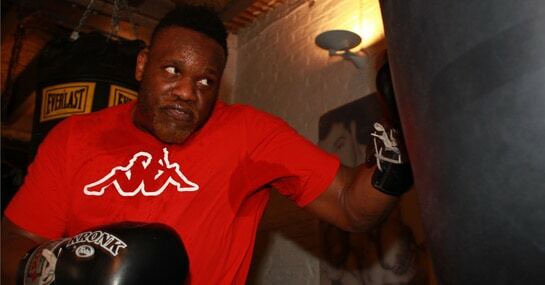 Can Chisora become the first man to stop American Johnson? Dereck Chisora (19-4-0) has vowed to become the first man to knockout Kevin Johnson (29-4-1) when the heavyweight pair clash at the Copperbox. Johnson, who has gone the distance with both Fury and Vitali Klitschko in the past, is well known for his durability and stamina and while Del Boy is the heavy favourite with Ladbrokes for victory at 1/6, he will have to be at the very top of his game to produce a stoppage win. Chisora, who would set up a final eliminator for the WBO world title with Tyson Fury should he win, comes into the fight full of confidence after four straight wins since his defeat by David Haye and is looking to make a statement against the American, who is 4/1 for the win. “The way I fight and the way he fights is totally different,” said the European heavyweight champion. “I’m looking for a knockout so he can run and run but there’s going to be pressure on him. “I’m going to go out there looking for him and I’m going to hurt him,” he added. Chisora is 11/4 to claim a knockout but despite the Englishman’s claims his opponent’s record points to a decision win at 8/15 – a selection rated as one of the best of the weekend by our news team. And with the 30-year-old determined to set up his re-match with Fury, it could pay to back him to match the Manchester fighter’s unanimous decision result over Johnson at 5/6 with the bookmaker. Fury (21-0-0) makes his own comeback to the ring against another American in the shape of Joey Abell (29-7-0) on the same Copperbox bill. The 25-year-old returns to the ring after a 10-month absence following his two postponed fights with Haye and is 1/20 to preserve his undefeated streak. But Abell, who is 9/1 for victory, did cause a stir in his last fight when he put down Kubrat Pulev before the Bulgarian recovered for a fifth round TKO. And with the possibility of ring rust following Fury’s absence from the ring the 2/1 on the fight being won in rounds 6-10 appeals.